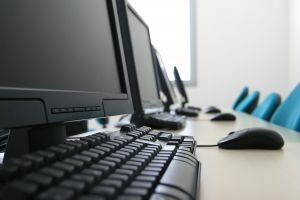 Many local businesses are catching the computer recycling wave by setting up a drop-off day for things like computers, monitors and other types of e-waste. Recently, WNYT and Taft Furniture held such an event. Although “recently” probably isn’t a good word to use. The event was last year. The good news is that they managed to collect over 250 tons of e-waste destined for recycling facilities. The bad news if you missed that event, you’re stuck waiting for the next one (if there will be one). While it’s very noble for these organizations to sponsor these drop-off days they don’t always work with your schedule. This is where hiring a company like Junk King Capital District can make all the difference. When you call Junk King to set up a removal appointment, they’ll be working to accommodate your schedule; not the other way around. If you would prefer a weekend, early morning or late afternoon pickup then that’s when Junk King will make the appointment. The other benefit is that Junk King Capital District comes to your door. You won’t have to load up all your e-waste in the back of your SUV and drive across Albany looking for the drop-off location. In fact, the Junk King crew assigned to your removal project will be carrying out your e-waste from where ever you’ve got it stored. That means they’ll climb down the basement or up to the attic to get to your stuff. All of this matters because computers, monitors, copiers and televisions are not something you should be throwing out in the garbage. They should all be recycled and there a plenty of certified recycling centers around the area who can the job. Why not let Junk King transport your e-waste there? It might seem like a lot of fuss for a two-man Junk King crew and their big hauling truck to show up at your home just to take away a computer monitor. For the record, they would have no problem doing that but they can also help you finally get rid of all your oversized junk items. Yes, we all have junk. The issue is what to do with all that junk. When you hire Junk King that junk of yours can become a fleeting memory in now time. Just as the Junk King crew will carry off your computers and TVs they can do the same with old sofas, kitchen appliances, bedroom sets, lawnmowers and tires. If you’ve decided something is junk then let Junk King take it away! This entry was posted in Albany E-Waste disposal, Albany Junk Removal, Junk King Capital District and tagged Albany Computer Monitor Disposal, Albany E-Waste, recycle e-waste albany on February 27, 2013 by Todd Porter. Last updated August 1, 2017 . Do you know your trash laws? You should because failure to follow those guidelines could have you getting slapped with a fine. In fact, “excessive quantities of trash” are subject to a fine of up to $625. That’s a lot of money for having garbage spill over your trashcan but it can happen. Then there is the category of “white goods.” This is what the City of Albany defines as official bulk items. Included in that category would be things like old air conditioners, dehumidifiers, dishwashers, dryers, washing machines, hot-water tanks, lawn mowers, stoves, cast iron tubs, sinks or toilets. Putting any one of those items out on the curb in the hopes that they’ll be picked up could result in that fine. Do you want to take that chance? Speaking of fines, there are three specific items which can garner even bigger fines if left out on your curb. These would be freezers, washing machines and/or refrigerators. With those bulk items you have to remove the door in compliance with the law. Even if you don’t throw those things out but store them in your garage or down the basement you are still required to remove the doors. So that would leave you with the thing and the door. Do you really want that stuff taking up space? With Junk King Capital District on the job you won’t have to concern yourself with bending over to pick up those items. Save your back and let the Junk King crew do all the heavy lifting. Junk King will also be providing you with a truck with enough space to load up whatever you’re tossing out. 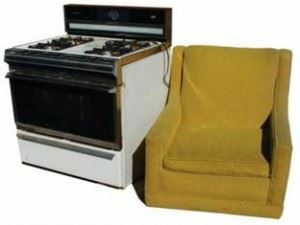 Try putting that old stove in the back of your SUV. It’s just not going to fit. Best of all, Junk King gives you back your weekend. You won’t be spending hours driving around looking for a dumpsite. They’ll handle that, too. All you have to worry about it how much junk you’re going to finally get rid of! Junk King can show you the way. This entry was posted in Albany Appliance Disposal, Albany Junk Hauling, Albany Junk Removal, Bulk Item Pickup and tagged albany bulk item pickup, albany junk pickup, Albany Trash Laws on February 15, 2013 by Todd Porter. Last updated August 1, 2017 .